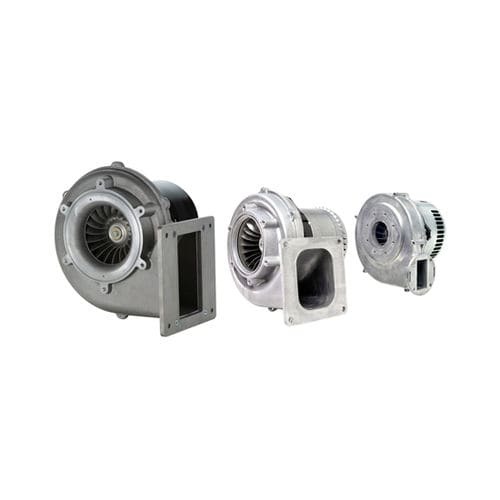 Nautilair variable speed brushless DC blowers have been engineered to deliver a measured air/fuel mixture in gas-fired burner systems for optimized combustion and reduced nitrous oxide and carbon monoxide emissions. These pre-mix blowers offer practical solutions for a wide range of applications, including commercial and residential boilers, food service equipment, kilns, and fuel cells, among others. The product line is available in 3 series: 7.6", 8.9", 12.3" and these blowers accept line voltage inputs of 120VAC, 240VAC and 12-24VDC depending on the model.